A photo of a painting | Who Were They? When photography became popular, it was not only seen as a way to capture living images of people, but also as a means to share older images. 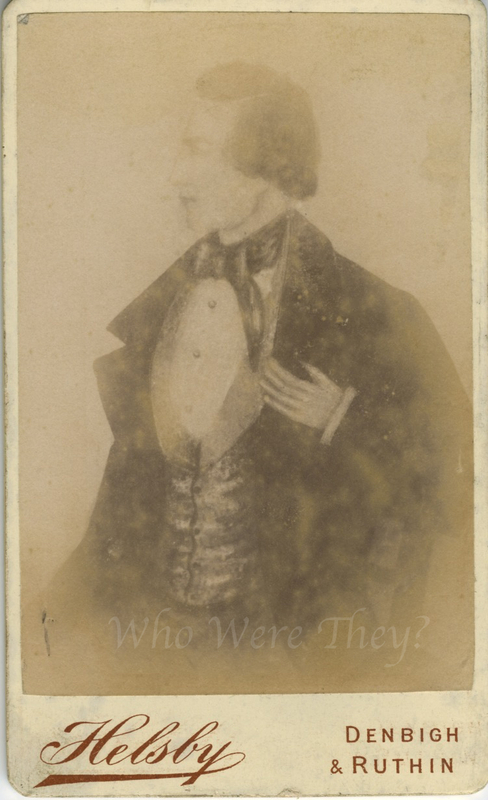 This CDV is an example of a photograph of a portrait or miniature that was painted in an earlier decade. I’m not very good with men’s clothing, so please chime in if you know better, but I’m guessing this portrait was made in the 1830s. Perhaps this was a beloved patriarch of a family. This could also be a memorial card given to friends and distant relatives when the subject passed away – in the 1860s. 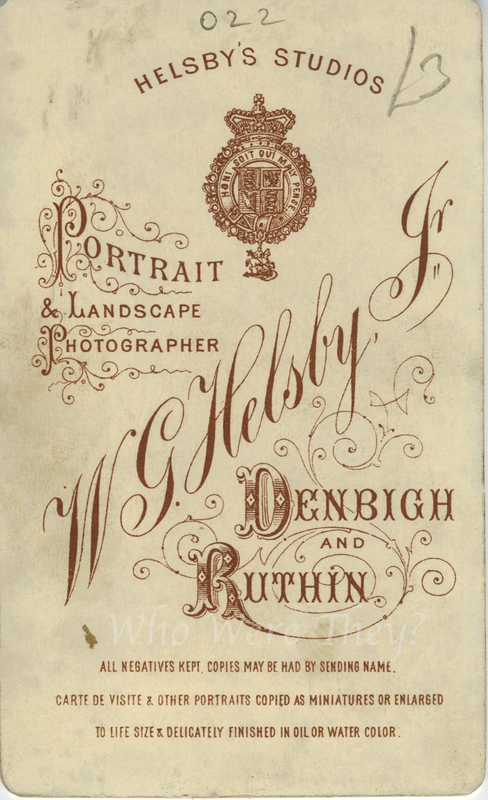 The photograph was made by W. G. Helsby Jr in Denbigh and Ruthin. These towns are near coastal Wales, a bit southwest of Liverpool, England. The two towns were connected by a railway which was established in 1860 and used for approximately 100 years, closing in the 1960s. Note that part of the backmark indicates “other portraits copied as miniatures or enlarged to life size or delicately finished in oil or water color.” This image is clearly a copy of a portrait.